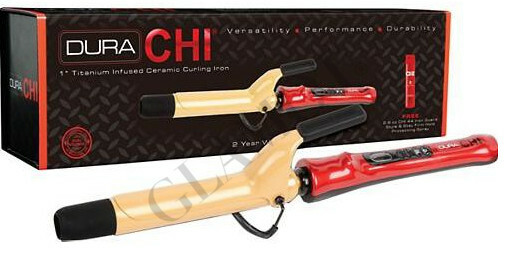 Curling irons CHI Dura 1 inch (25mm) is the new definition of durability and top performance for professional stylist. Dura CHI curling irons have been designed to create luscious curls and waves with titanium infused ceramic plate technology. Do you need help with choosing of curlin iron? Read ours instruction → How to Choose the Best Curling Iron?